Earth is dying due to an alien object placed in orbit about the Sun. Earth receives a message from the far reaches of deep space informing the Earth space program that it is not allowed to travel any deeper into space than the outer planets. 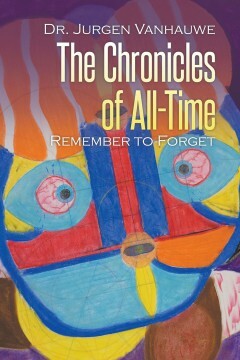 Due to some very extraordinary qualities concerning the strange message, the Earth Council is forced to search all of Earth’s history, both past, present, and future to find a singular young boy for which a special Project will be formed which will place him in training for a trip to the very Center of our Galaxy. Richard Chamberlain was a part of the Naval Submarine force for twelve years. He was hurt during deployment and then medically discharged. He then entered Idaho State University and attained a degree in Mathematics and studied astrophysics. After graduation he commenced working at Nuclear Power stations on refueling code to refuel nuclear reactors. He worked for sixteen more years in various engineering positions at Nuclear Generating Stations throughout the various states. After he could no longer do that work he turned himself into the DAV. From then on he studied Physics, Mathematics, and various subjects pertaining to Quantum physic and Cosmology. He now writes, reads, and studies Electronics. A future President of the United States is paralyzed by the errant bullet from the gun of a drug and gun smuggler. Frank Dewey Ryder, still partially disabled, and his Secret Service bodyguards are nearly killed by a top secret surveillance dolphin while diving in Hawaiian waters thirty years later. Why? International intrigue follows the President, the drug and gun smuggler, and the bottlenose dolphin as their lives wind around each other like stands of DNA. The President is captured and taken aboard a foreign submarine. Can he be rescued by anyone or anything in the President’s huge hightech arsenal? 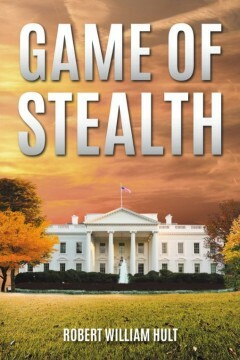 Game of Stealth is a powerful and provocative story, rich with characters and a punch that will leave you wondering if it was all true. Robert William Hult has played dual roles for most of his life. At the same time he was a submariner, he was a student of animal behavior. At the same time he was a scientist, he was a practicing, published expert in dolphin, porpoise and whale behavior—a cetologist. While he was a retailer for nearly thirty years, he was a filmmaker and a writer of science, science fiction and history. As a caretaker, he has also been a book publisher. Zella, an Alien from another solar system arrived on Earth to chasten the people, who were destroying their planet. She had orders to rescue only 244,000 qualified people, the ‘Chosen Ones,’ and relocate them to a healthier planet to restart life. But first, with a stern warning that this will be last time for all humanity, and warned not to repeat their ancestor’s past mistakes. The ‘Chosen Ones’ spent several months lurking inside the Icebox below the ocean, out of sight and sound from the US Navy, but once their location was found, the US Navy begun dropping nuclear bombs to rid them before the world hears the truth. Finally, with the new qualified people trained for outer space traveling, and safely inside the UFO spacecrafts, taken their leave from Earth, which soon began to break apart from a designed asteroid. Mary A. Lonergan, a retired Aesthetician and hearing impaired. She is a member of the Canadian Hearing Society and lives in Ontario, Canada along with her husband Mike and their little dog which she has personally trained for a hearing ear dog. Mary Anne’s love for writing started after their children all left the nest to begin their own adventures. She has previously dabbled with writing Song lyrics which she won awards and she has written and published many poems to her credits. Still something was missing in her life…. Her love for writing stories where she would let her vivid imagination loose and run wild. I wanted my readers to feel the experience and try to guess the next step in the world of suspense and adventure and be able to put down the book and look forwards to my next book. 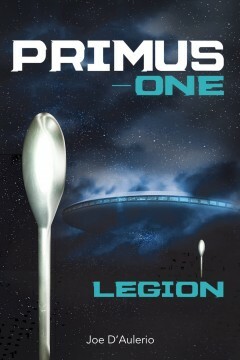 This story, the first in a trilogy, begins in a Barbaric world, thousands of years in the future, where scientists, known as “the smart ones”, have spent generation after generation planning and preparing to bring down their ruthless rules. These “smart ones” have written a story, it and the development of time travel, many thousands of years after the story was written, will be key to the success of their plan, but was there success? Their hope is twofold, firstly that people will one day live peacefully and in a free world and secondly that science will be allowed to develop naturally rather than be oppressed by fearful Barbarian rulers who view “the smart ones” as a necessary but dangerous evil. This story has science and theology completely intertwined. It’s a story that answers the most asked question in human and theological history. People may actually change their minds based on the theory this fictional story suggests. Horrific atrocities, much mystery, believable science, mistakes, love, anger, fear, more mistakes, hope and drama fill the page and your mind. It’s cliffhanger ending leaves you knowing it is not over, you will be confused but the confusion will only fuel your thoughts and want of an answer. 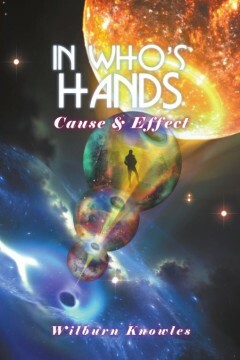 Visit “IN WHO’S HANDS” on social media and let’s us know what you think happened. The subtitle for the 2nd story is “The Answer” and it does totally answer the ENDING of this 1st story but it still leaves some mysteries up in the air. 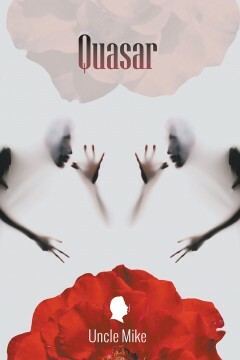 The 3rd novel will clear up these mysteries and totally blow you away. So much so that I can not even reveal the subtitle. Several Months have passed since the harrowing adventure and near fatal mission to save the planet that left Jim Lexington in need of some rest, but now he returns to find mischief, intrigue and danger. Jim and Sarah encounter a talented flamboyant and somewhat rebellious young lady, Samantha Slate, who falls victim to the power of a second Centurion, but instead of succeeding in a successful matching it places her at deaths door. Once again, the planet is placed in peril and Jim must now rescue Samantha, and undo the deadly mischief of the Centurion that ends up putting him at the edge of death! 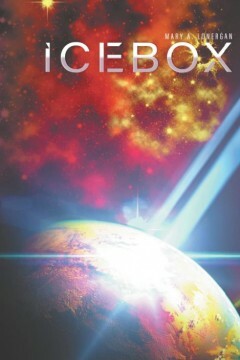 Joe D’Aulerio, A former KSC worker and who lives in Florida with his wife, enjoys writing science fiction. As a science fiction writer Joe’s interests are not the violence and destruction people have come to expect but showing the innocence, naivety and comedy as well as the intelligence, adventure, thrill and sorrow a good story can tell. A normal ordinary American citizen, Jim Lexington going about his now forced retirement is suddenly put into a position of disbelief and perplexity. Jim encounters a most unusual life form. With his new-found friend, only visible to him and with unbelievable abilities, Jim finds himself engaged with a childlike and innocent unusual living being and in peculiar situations. Jim then becomes the center of attention when a companion of his new friend arrives. Struggling to keep both out of the hands of the government and trying to show the world they mean no harm, Jim is then made aware of a deadly and dangerous derelict that would pass through the solar system without harm until, that is, it is discovered by scientists. Not really knowing what they are dealing with and in an attempt to protect the earth, US and Russian governments, try to destroy what they think is an asteroid and end up altering the derelicts course placing the earth in lethal danger. Jim must now figure out a way to deal with the derelict that ultimately places him in grave peril. 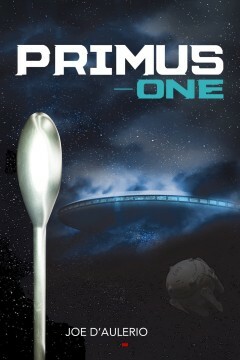 Inspired by Clive Cussler, Joe D’Aulerio intends for his début release, Primus-One, to be the beginning of an eye-opening epic series of intrigue and adventure. A former KSC Support Test Manager, Joe currently resides with his wife in Central Florida. This story is of adult humors science fiction of today’s times. This takes you to a bar in New Orleans where everyone gathers. Two groups of men make near the same discovery. Proving their point takes them each on a journey. Jerome is imprisoned in another dimension with no chance to escape. He is placed on trial for the many crimes he committed against the Crystal Race. 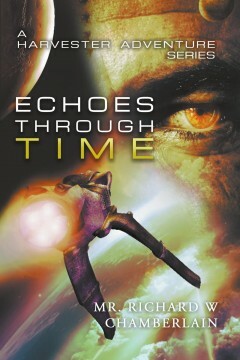 His only thoughts are of his lost love Katie who he hopes is safe back on Earth with all the rest of his friends. While within his captive habitat Jerome encounters a strange being that alters his perception and now he is able to see the Universe in a different manner. Deciding escape is impossible, AK enters his dimension and they escape to the normal Universe. 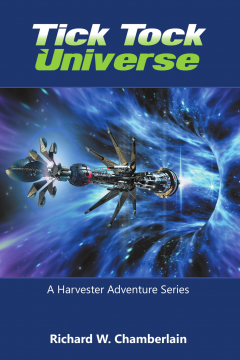 Jerome learns just who the Harvester really are and what it is the Crystal need from the stars.